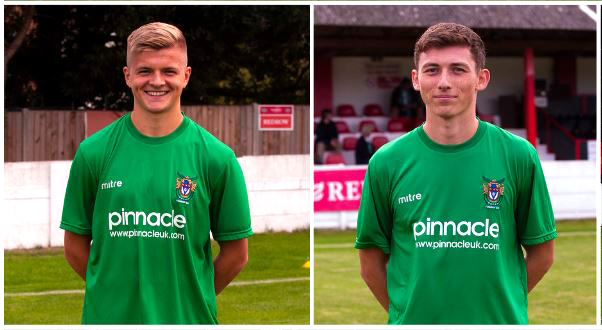 Rocks boss Jack Pearce has two new additions to the Bognor squad as he looks to keep the club’s good start to the season going. Left-back Joe Tomlinson has joined the Nyewood Land outfit on a long-term loan from Premier League Brighton & Hove Albion while Charlie Osbourne has made a move to the Rocks from Portsmouth’s development squad. The moves coincide with a couple of departures from the club. Defender Archie Edwards, a former professional with Charlton Athletic, has left the club along with Harvey Sparks, a summer recruit from Worthing. The latter is set to join Bostik South side Horsham in the search for first team football. Pearce said: “Harvey is leaving the club by mutual consent and Archie is going to look for a club nearer to where he lives and we have circulated his availability. “The club would like to thank both players for their efforts for us this season and, of course, we wish them both well for the future.